The Tukos have left their home planet of Tukon and traveled to Earth. The first person they meet on Earth is Keko, hence the title Kekotukos: Origins. While the Tukos cause a few headaches for Keko, they’re also a lot of fun. 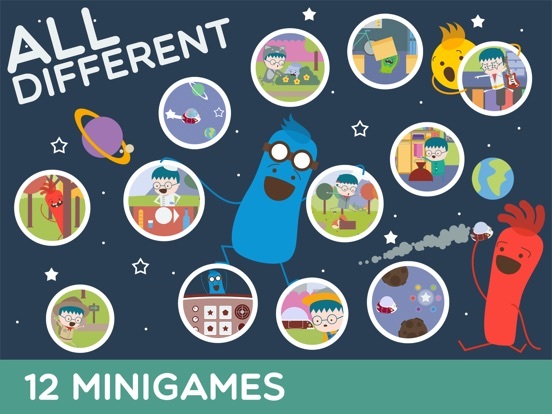 Kids can join in on the fun as they work their way through mini games and short animated cartoons that help them learn more about these silly alien creatures. When kids first open Kekotukos: Origins, the first thing they’ll see on the main screen is a rotating planet with the sun and stars sitting in space. Rotate to the left to open the settings screen which contains volume controls for the music and sound effects. Rotate to the right to open the progress tracking screen which allows parents to see how kids have performed in the game. In between the two is the game play option. Selecting it opens a screen that shows icons for all 12 mini games found within the app. Although the games and cartoons move at a sometimes excruciatingly slow pace, they’re generally well designed and easy for kids to play. 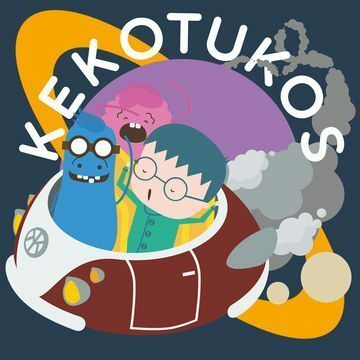 The characters, both Keko and the Tukos, are cute and fun for kids to look at and interact with as they play the games. 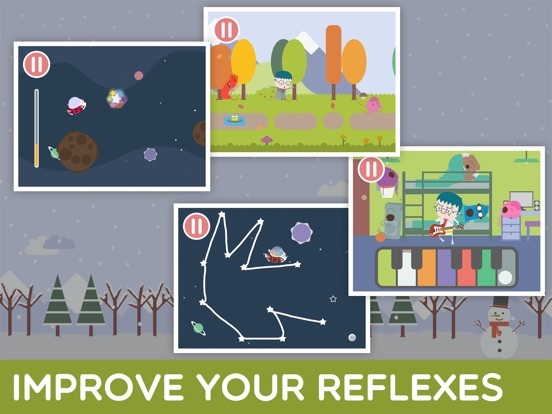 All of the games in the app are designed to build logical thinking skills and also help kids learn to follow directions. This a text-free game, so kids will not see or hear text-based instructions showing them how to play. On a few of the earlier games, a finger or flashing images will give them a few hints, but otherwise they must figure it out on their own. Incorrect moves and other errors are noted with a light buzzing sound, but kids will not notice much of a penalty for making a wrong move. Instead, the games encourage them to keep trying to figure out. Games range from hide and seek and shell games to connect the dots, matching, and flying a spaceship through space. 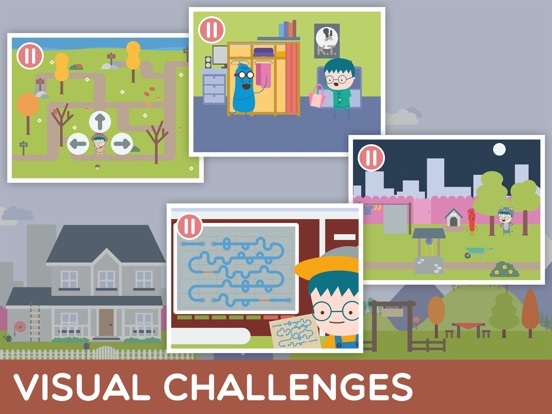 Parents have the ability to track kids’ progress through the progress screen which includes an icon for each game and the number of stars a child has earned. It also tracks kids’ progress in three different areas represented by a puzzle piece, footprints, and a pair of glasses. Kids will find that the app moves at a very slow pace. While it’s nice not to have kids zipping from screen to screen, the pace may be a little too slow for most kids. 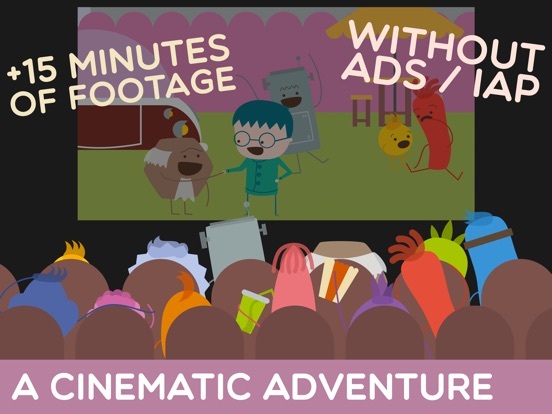 Each mini game is preceded by a short animated video. Kids have the option to fast forward through the video to get to the game and the speed of the videos will entice most kids to do just that. Those who do take the time to watch them will get to glimpse a bit of the story behind the games and may enjoy learning more about the Tukos. The games themselves are fairly basic and entertaining for young kids. Some of them, such as the flying spacecraft game, may cause a bit of frustration as kids learn to play them. A couple other games could stand to be improved. For example, the music game has kids hit keys on a keyboard, but hitting the keys doesn’t produce any sound, making it fairly unsatisfying. The connect the dots game could also be more involved, having kids connect more stars to create shapes that are more recognizable. 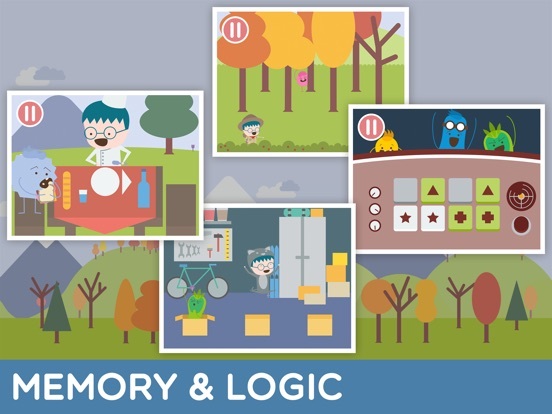 The app includes 12 mini games and 12 short cartoons, so it offers a lot of content. However, many of the games are very simple and created in the same style that kids will find in less expensive or even free apps. The quality of the animations and story, along with the progress-tracking, adds a bit of value to the app to help make it more worth a download at its price point. The app does not contain any social media, ads, in-app purchases, or external links. It is also free from a parent area. Kids can access the settings screen to change the volume for the background music and sound effects. They can also view the progress screen to see their progress at the various stages in the game.